The Pearl Izumi Quest cycling short is undoubtedly one of the top cycling shorts currently available to athletes. Pearl Izumi is one of our favorite gear makers, and you could argue that the Quest cycling shorts are their most versatile, popular piece of cycling gear on the market today. Their superior design has been created to assist men and women with meeting and exceeding their cycling goals, all while providing a high degree of comfort. Athletes that specialize in cycling will truly appreciate the superior quality, comfort, and technology found in these cycling shorts. The quality of these cycling shorts will provide athletes with an item that will be durable and will stand the test of time. The Quest shorts can be found on Amazon, and usually carry a retail price of $35 to $55. The Pearl Izumi quest shorts are one of the most popular, versatile bike shorts on the market today. There is a clear reason why the Pearl Izumi (aka iZUMi) Quest cycling short is one of the most demanded cycling shorts by serious cyclists and triathletes. As with all Pearl Izumi products, the high quality woven into these shorts shines through every time that they are used. Athletes will love their enhanced fit and the construction that seems to go with all types of riding. The Pearl Izumi Quest cycling short provides athletes with a high degree of comfort for the price, because of the way in which it rapidly pulls moisture away from the body and the seat pad that is a step up from most entry-level shorts. Athletes are able to stay focused on their workout as their cycling shorts work with them to provide their body with comfort and care to maximize their ability to endure an intense workout. This support will be felt during the workout but also after the workout, because drier skin (while working out) means improved health of the skin. When heat gets trapped against the body athletes will often experience the development of rashes and other skin discomfort. These popular shorts sharply decrease the likelihood that athletes will experience these annoyances because of the way in which they wick moisture away and cool the body all at once. PI uses a 14% spandex mix in their shorts, on par with the better shorts we see on the market. Athletes get a great value with this cycling short, when considering how many uses they are likely to get over the garment’s lifetime. The high quality of this product will provide athletes with a product that they can use and love over and over again. Once athletes try this product they repeatedly choose it over other cycling shorts that are on the market. The Quest short typically costs around $50, depending on the style purchased and whether it is for a male or a female. That puts it at just $5 – $10 more than the Pearl Izumi Sugar shorts, which are intended for shorter distances and less-intensive use. Note that the Quest shorts can often be found for as low as $35 if you find them on sale in the size you need. Any avid cyclist knows that it can be extremely difficult to find a cycling short that provides excellence in comfort while also providing the physical support needed while doing a long hard ride. However, these shorts truly do the trick. They meet and exceed the needs of women and men alike by providing superior comfort to the unique needs of each athlete. These highly popular cycling shorts continue to be in greater demand because of the excellence with which they are made. As with any cycling short, when on the road they are easy to forget about – a sign of true quality. It can be extremely tempting to simply choose a cycling short based on price. 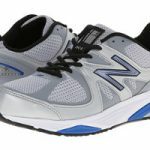 However, the slight cost difference up front results in a truly significant cost in performance and workout experience. Athletes cannot afford to cut a corner and pass up quality shorts for a cheaper pair. Whether they are a highly trained athlete or someone who is just beginning to learn how do cycling, these shorts are an essential component of the cycling workout even though they carry a price tag that may be uncomfortable to some. 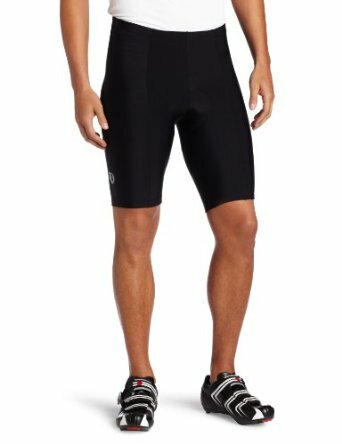 The shorts can usually be had for $50 or less, however, and at that price they are a worthwhile investment given Pearl Izumi’s reputation for durability. Men and women that participate in cycling will enjoy the comfort and their cycling results in with the iZUMi Quest, and at about $50 it is a very good overall value. 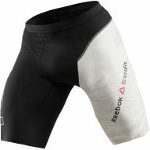 Athletes who utilize these shorts will find that their mind is able to stay easily focused on their workout instead of on the fit of their workout apparel. Cyclists should absolutely take advantage of the comfortable fit of these shorts and their superior utilization of the latest in fitness technology to make truly a stand out in the cycling short market. 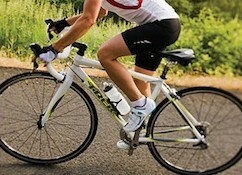 The Pearl Izumi Quest cycling should be at the top of every cycling enthusiast’s short list.